An independent consulting firm has given Citigroup Inc.'s management team a good review, but the embattled bank could see more changes among its top ranks, The Wall Street Journal reported Wednesday. 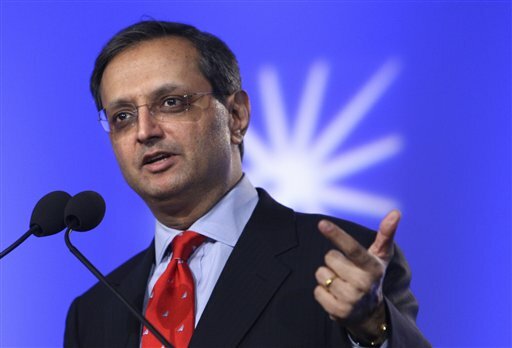 Requested by the U.S. government following its stress tests on banks earlier this year, the outside review by Egon Zehnder International found that Citigroup's CEO Vikram Pandit and his executive team are in overall good shape, the Journal said on its Web site. However, Vice Chairman Lewis Kaden and Chief Administrative Officer Don Callahan received less favorable marks, the report said, citing unnamed sources familiar with the matter. A Citigroup spokesman declined to comment on the report. A call to Egon Zehnder was not immediately returned. According to the Journal, Citigroup's board met Tuesday to discuss the findings and how to respond to them. The options include removing certain executives, the report said, but it is not yet clear whether there will be any management changes. Executives of the nation's largest banks have been under intense public and government scrutiny this year for their role in the financial meltdown of last fall. As a result, Citigroup and other national banks have shuffled around their management in recent months, adding new directors and replacing key executives. Former CFO Gary Crittenden left the bank in July, while the head of its Asia Pacific division, Ajay Banga, left in June. After just five months as Citigroup's CFO, Edward Kelly was put in charge of strategy and mergers in a new role as vice chairman in July. John Gerspach, the bank's chief accounting officer, took over as CFO. Citigroup is among the biggest recipients of federal bailout money, receiving $45 billion in government funds since last October. A portion of that money was converted into a 34 percent ownership stake for the government. In May, after completing its stress test of the bank and 18 other financial companies, the government said Citigroup needed to raise $5.5 billion. Every bank that underwent the government's stress test was advised to review its board and management. Citigroup stock fell 3 cents to $4.64 Wednesday. There have been recent management changes at JPMorgan Chase & Co. and Bank of America Corp.
Last week, Ken Lewis, the CEO of Bank of America who was stripped of his chairman title earlier this summer, said he planned to step down by the end of the year. And JPMorgan Chase named Jes Staley the head of its investment bank, a move that put Staley in a position to become the new CEO should the bank's current chief, Jamie Dimon, leave or retire unexpectedly.